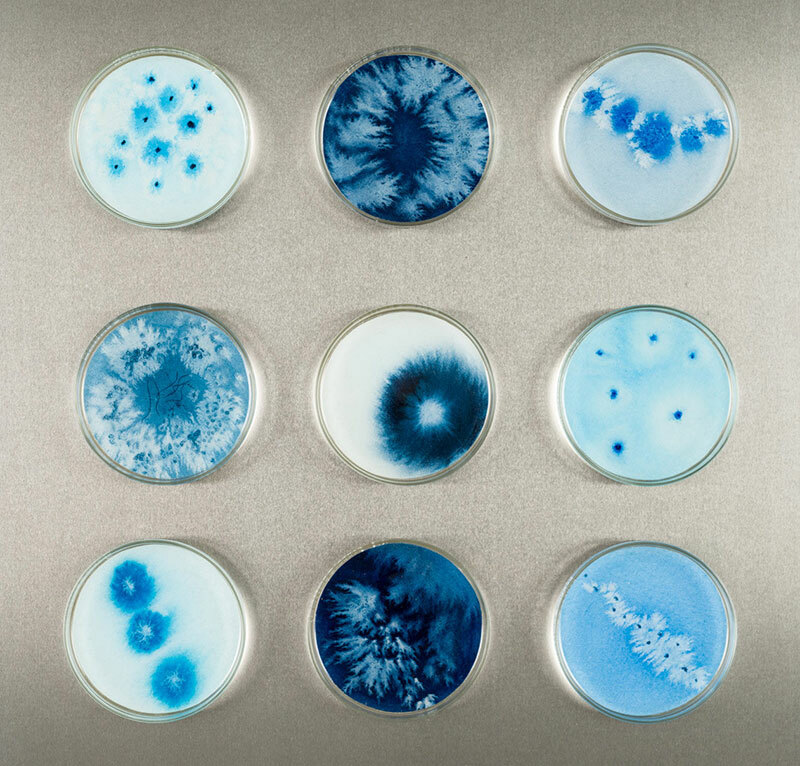 Mixed media artworks consisting of painted bacteria and mold on culture dishes by artist Michele Banks based in Washington, DC. 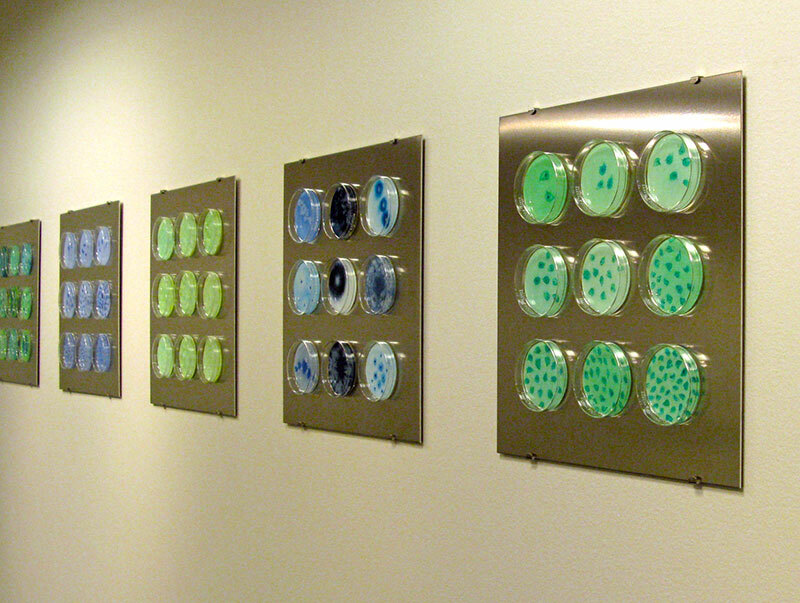 The glass petri dishes are mounted on an aluminum panel with an original watercolor painting inside coated with resin. 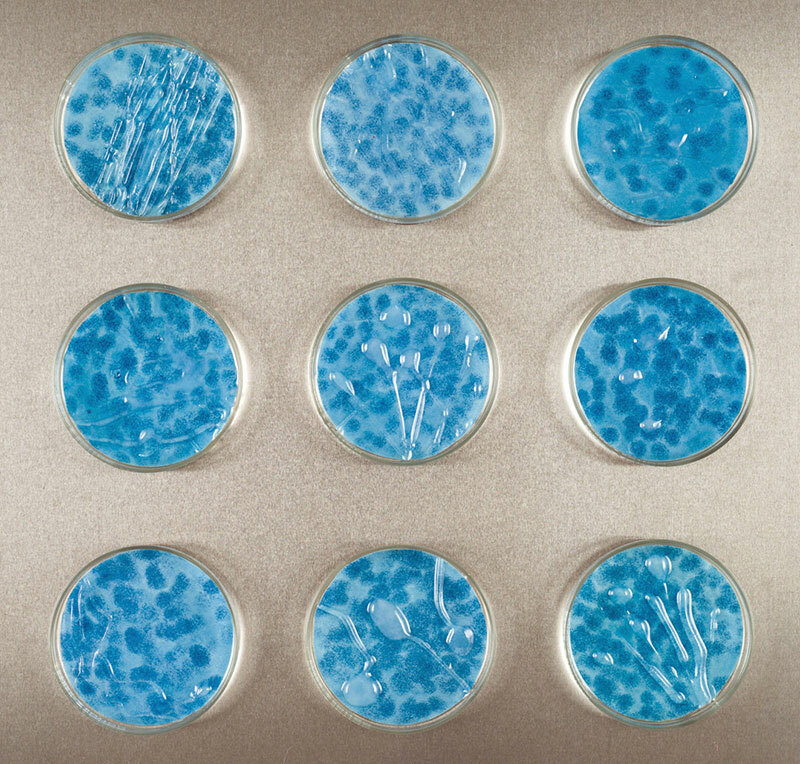 The artworks celebrate the scientific method and has been shown at the American Association for the Advancement of Science in Washington, DC, as part of a show on climate change. 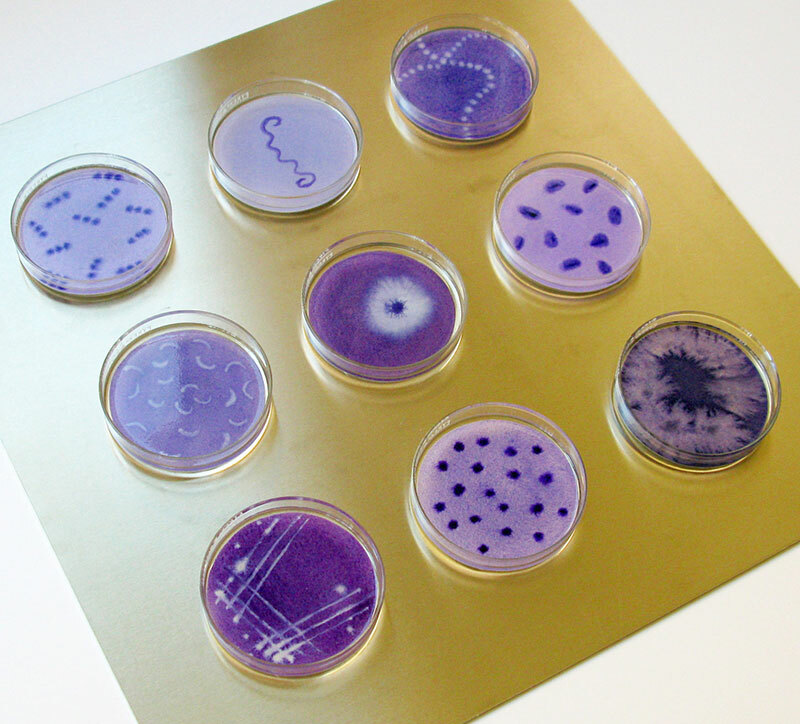 See more of Michele Banks' work on Etsy. 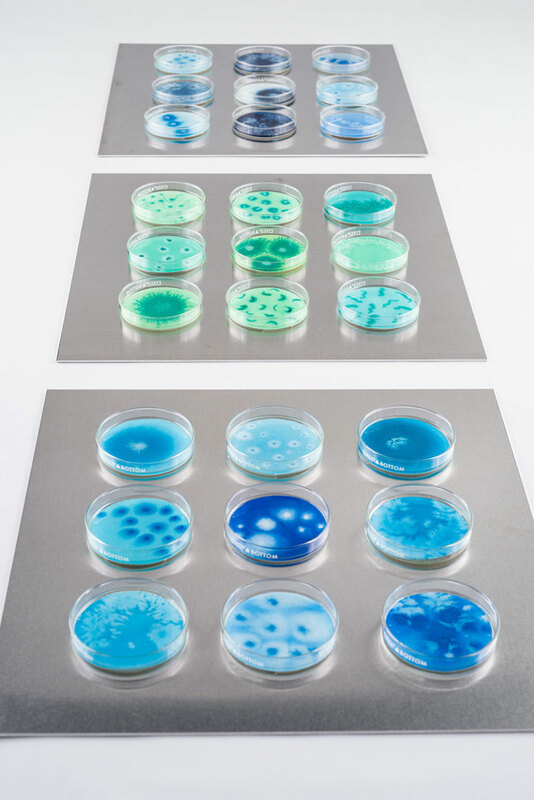 Mixed media artworks consisting of painted bacteria and mold on culture dishes by artist Michele Banks based in Washington, DC.